There is no denying the cultural benefit of packing into a pasajero with the locals for short trips to the beach or hardware store in Mexico. It’s cheap, for one thing, and for another it might be the best place to catch up on local gossip. And no doubt you’ll always find a taxi driver willing to take you on a day-trip from Huatulco to Pluma Hidalgo or Agua Blanca or Puerto Escondido. It is an easy- but-expensive way to get around the coast. But for someone settling in Mexico long-term, there will likely come a time when you decide you need to buy a car so you are free to make your way around on your own, whether that’s for a run to Chedraui or a weekend in the mountains at San Jose del Pacifico. If you’re not one of those who actually drove a car to Mexico and then went through the process of getting Mexican registration on it (read more about that here), here are some things to keep in mind when you set out to buy the next family truckster. 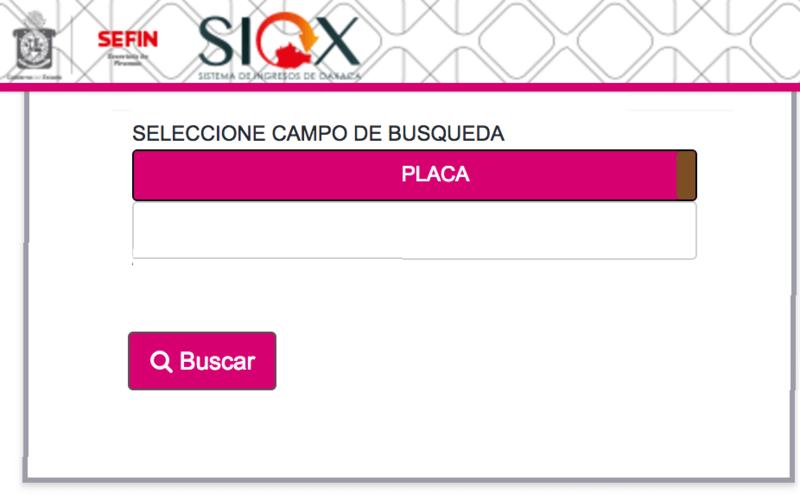 Who Can Register a Vehicle in Mexico? 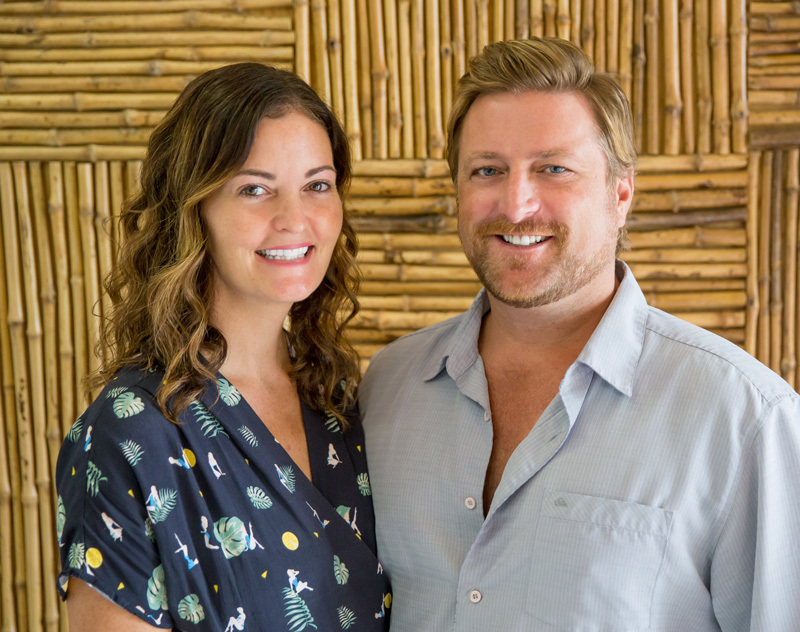 We’ll first jump briefly to the end of the process just so it’s clear – you have to be a Mexican resident to legally register a vehicle in Mexico. This means that as a foreigner you must be on a Temporary or Permanent Resident Visa to register a car in your name. This doesn’t mean that you can’t buy a car as a long-term tourist, and you are also able to insure a car, but you can’t have the title in your name. More on this later, but first we’ll talk about cars. On the face of it, buying a new car in Mexico is much the same as anywhere else. You decide on the brand and make you want, visit the dealership, haggle a bit over the terms and buy the car. No pasa nada. There are a few things to keep in mind, however. Except in big urban areas, most car dealerships don’t carry the large inventory of vehicles on their lot that you might see in the US and Canada. And the type of auto malls where you can bounce from dealership to dealership comparing various cars and prices typically don’t exist in smaller communities. What this means in practical terms is that the exact car you want might be sitting at a dealership on the other side of the state, and you will have to wait an indeterminate amount of time to have the car delivered to the dealer where you are. The point here is that you shouldn’t decide to go out car shopping on a Friday and expect to be off on a two-week tour of the countryside on Monday, because you’ll likely be disappointed. Between a generally lower sticker price, and the exchange rate on the dollar/peso, you’ll likely be pleasantly surprised by the affordability of a new car in Mexico. This is probably the best reason for selling your car before you move to Mexico and buying a new one when you arrive. In addition, you will avoid the cost and hassle of switching the registration and plates on the car you import. Prices vary, of course, but for example as of early 2019 the average cost of a basic car like a 2019 VW Golf is $300,000 MXN, or $15,700 US. North of the border, the suggested retail price for the same car is just under $23,000 US. That’s obviously a significant difference. When it comes to actually paying for the car, cash is king. 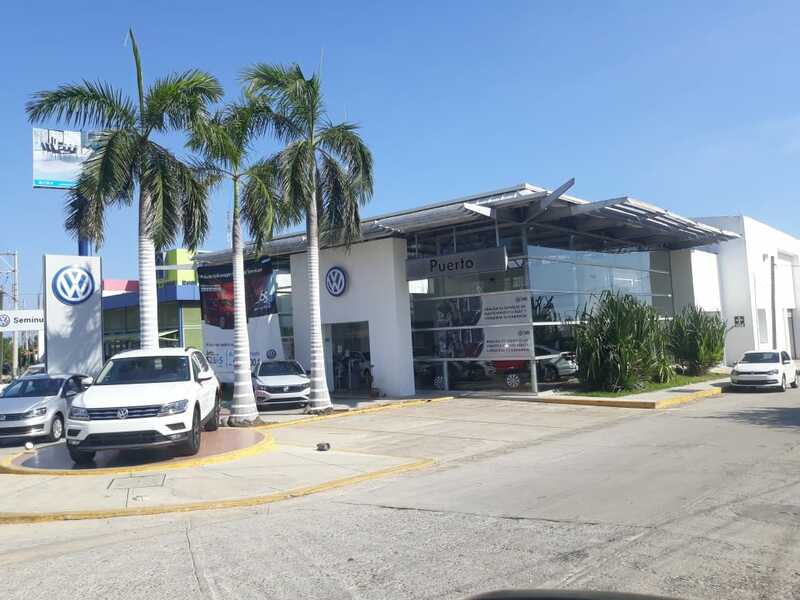 While dealership financing is growing in Mexico – accounting for right around 70% of new car purchases, up from 50% just five years ago – banks are reluctant to finance new vehicles for the simple reason that Mexican law makes it difficult to repossess a vehicle if the owner becomes delinquent on the loan. The car manufacturers themselves have been more and more willing to take on this risk. However, they are known to charge high interest to do so, with rates around 10% to 25% not unheard of. The bottom line is to be prepared to pay off your new car all at once. Most dealerships will want to receive their money as a bank transfer, although some are willing to accept credit cards as payment. In order to buy a new car at a dealership, you will need to have with you your passport (or a copy of the page showing your name, citizenship, etc. ), Temporary or Permanent Visa card, proof of your Mexican address (such as the always-valuable electric bill from CFE) and driver’s license. In the past you were required to have a Mexican driver’s license, but recent changes to the law seem to indicate a US or Canadian license will suffice. Having said that, since you’re buying a car and presumably plan to spend a lot of time driving it, having a Mexican driver’s license is just common sense to avoid any hassles down the road. 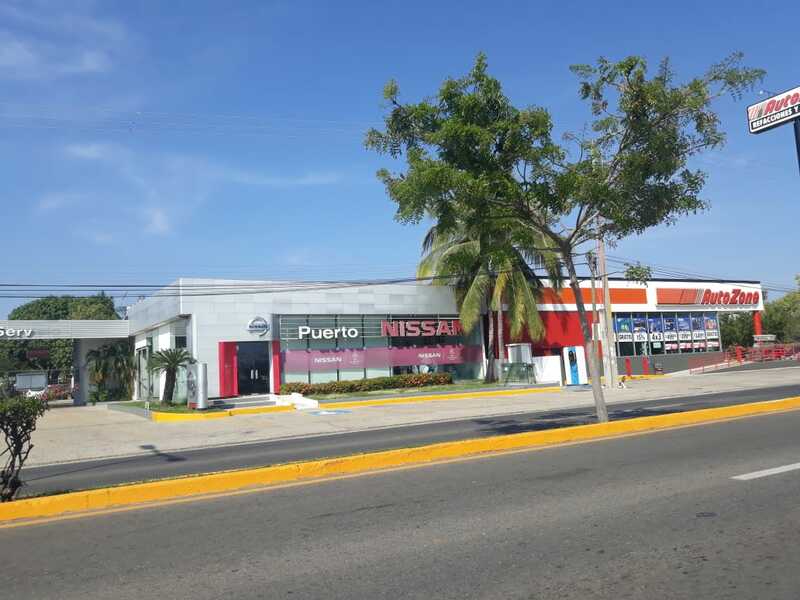 For their part, the dealership will take care of all the paperwork coming back to you, and you should drive away with the original invoice (called a factura), the registration (tarjeta de circulacion), and a receipt showing you have paid the taxes for the year (tenencia). There’s a saying in Mexico that “paper talks” and for a car owner these are all incredibly valuable documents. They will be needed in the future, so make copies and keep them in a safe place. Maybe you are in a situation where you don’t have the budget for a new car. Or you just don’t think you’ll be driving enough to make a new-car purchase worthwhile. Or you just have your heart set on one of those 30-year-old VW Bugs you see everyone else driving. If any of this applies to you, buying a used car is a perfectly viable option. But it does come with its own set of pitfalls to watch out for, and perhaps most importantly, you have to be prepared to walk away from any deal, no matter how much you fell in love at first sight with the car. Right off the top, the price – and condition – of used cars can vary widely in Mexico. In the first instance, getting a fair price is a matter of taking the time to do a bit of research beforehand to find the basic market value of the type of car you want. This can be as simple as talking to a few people you know as to what they believe the value of their cars to be, and finding one to buy in a similar price range. Just as the cost of new cars can generally be lower in Mexico, the price of newer used cars in good condition can be a bit on the high side. This is just because of supply-and-demand, as there are fewer of these types of vehicles available for sale. If a car is in good condition and runs well, people in Mexico tend to hang onto them. So if what you’re looking for is a newer-but-used 4-wheel-drive with all the bells and whistles, don’t expect you’re going to find one for $1000, just because it’s Mexico. Typically, for a Bug in good condition you will be looking at something in the 20 -25,000 peso range, while a 10-year-old small truck in good condition might be 40-50,000 pesos. Just like anytime you buy a car, you’re going to want to be able to fire it up, take it for a drive and make sure everything works – no grinding gears when shifting, no problems with alignment, the car isn’t blowing oil, the brakes are working properly – all those basic things. The seller of the car should be willing to let you take it to a mechanic to get it checked out, and if they refuse, it’s a red flag. If for some reason it’s not practical for a mechanic to take a look, there are a few basic things even a non-mechanical person can look out for. Particularly on the Pacific coast, due to all the salt in the air, rust can often be a big problem (which is why many people travel from the coast as far as Oaxaca City to buy a used car. Due to the climate, they are usually in better condition). 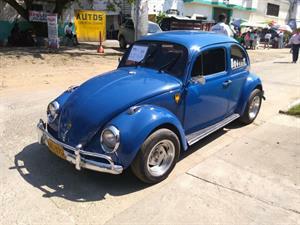 There is a used car market every Sunday close to Oaxaca City in Santa Rosa. If at all possible, take a look under the car and check for excessive rust – or even cracks – in the frame. Look at the strip below the door (the rocker panels, as they are called) and the bottom of the door itself, checking for holes. This is not just about how the car looks, as these are key areas in the structural soundness of the car and go a long way toward the safety of the vehicle. Also, if the car has floor mats and/or carpet on the floor, try to lift it up and check for holes in the floorboard. Look at the condition of the tires – the cost of four new tires in Mexico is roughly the same as in Canada or the US – and get down and take a long view of both the front and back of the vehicle checking to see that the wheels line up and do not look “bent“ at all. You know all those topes you encounter in Mexico? They can give a beating to the suspension of a car, and any sign that a vehicle sits lower on one wheel or another could indicate worn-out shocks or springs that need to be replaced. Finally, take a look under the hood, checking for leaks, and belts and hoses that are cracked and worn. If you decide to buy the car, you’re going to want to get those things changed sooner rather than later. Pull the dipstick out of the engine and clean it off – you can’t expect the oil to be 100% clean, but a very low oil level could be an indication the owner frequently drove the vehicle without adding or changing the oil. A dipstick that looks “burnt” on the end is a bad sign that the engine was often running hot with very low oil, and is a warning sign for future engine trouble. We’ve already mentioned what the salt air can do the body of the car, but it can also be just as damaging to electrical components, which is why in our humble opinion the fewer gadgets on a used car in Mexico, the better. Those automatic windows, door locks, and mirrors may seem like a cool feature now, but it’s almost guaranteed that something will crap out due to rusted wires or electrical shorts, and for the effort it takes to roll down a window by hand, just might not be worth it. Ultimately, it’s your money and your decision as to the value of the car based on what you’re paying, but these are just a few things to keep in mind. As pointed out above when buying a new car, all the needed paperwork should be taken care of by the dealer. When it comes to used cars, all the same paperwork is required, and this is most often when the deal breaks down. The seller should be able to provide you with the invoice or factura for the car, and the VIN number on the invoice should match the VIN number on the car, usually located on the dashboard on the driver’s side. If the seller can’t provide the original invoice, or the VIN does not match, don’t buy the car. It’s a simple as that. If that paperwork is in order, you will also need all the tax and registration receipts for all the previous years since the car was first registered. A strange quirk of buying a car in Mexico is that if the tenencia hasn’t been paid for a period of years – perhaps the vehicle was off the road and in storage – all of the back tenencia must be paid when the car is registered, as well as for that year, with the cost being based on the book value of the car (not the price you paid for it). The first time you register the car, you must do so in person at your local vehicle registration office (SEMOVI), taking all the usual identification with you. The good news is that everyone pays tax and registration at the beginning of each year, so if you buy the car early in the year, you’re good to go for several months, as long as the car has license plates and all fees are up-to-date when you buy it. The other bit of good news is that once you go in person to pay the fees the first time, you can thereafter do so online. As for insurance, there are several companies in Mexico that provide full vehicle coverage, but rates and policies have wide variation and so it’s best to shop around. So there’s a basic look at what it takes to buy a new or used car in Mexico. Now you’re ready to go shopping for a vehicle, and then hit the open road and explore!